These sterling silver cufflinks are simple and sophisticated at the same time! 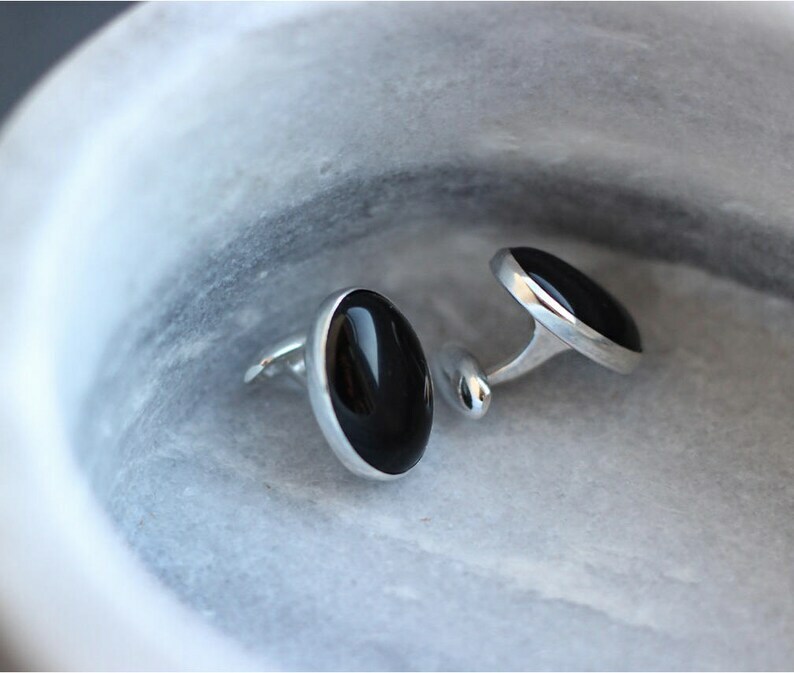 The black onyx stone paired with the silver give these men's cufflinks a sleek modern look. The sterling silver cufflinks measure 13mm x 18mm in diameter (about .5 inches).